You can study the CELTO course online from your desktop, laptop or mobile device whenever and wherever you want. There are no set start dates and no time limit. You have the freedom and flexibility to fit your TEFL studies around your lifestyle. You can even study on the beach! Within 24 hours of enrolling in the CELTO course you will receive login details for the INTESOL Online Campus. 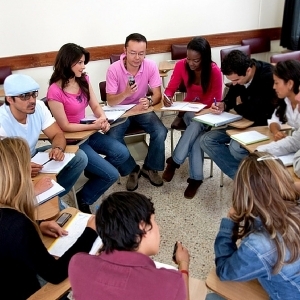 The CELTO course consists of ten units. Each unit has course notes, self checks and assignments that you will study at your own pace. Once your final task has been graded by your tutor you will submit your completion form to begin the certification process. 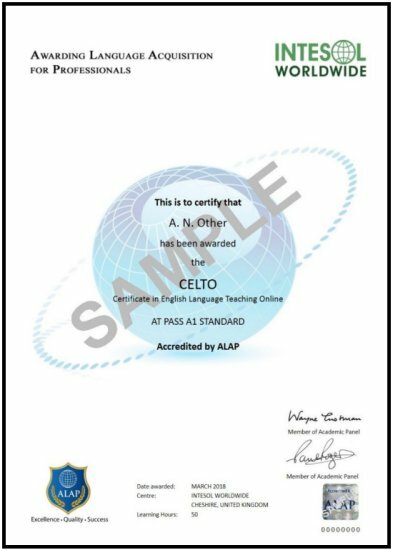 You will receive the CELTO certificate from the awarding body. There are approximately 40 hours of work in the course. As a general guideline most students complete the course in about 2 to 4 weeks, however if you need more time this is not a problem.